Southside Wheely Wheelers cycling club are supported the Kilmallock community on Sunday 21st August at 9.30m by organizing a fun cycle to celebrate Kilmallock’s medieval heritage by cycling from Kilmallock to Buttevant our nearest medieval neighbours gave our cyclists a wheely great medieval welcome and cycling back to Kilmallock. The fun cycle started at the famous Kilmallock town wall and cyclists cycled off in the early sunshine to be greeted in Buttevant, it was a wheely enjoyable medieval cycle, Well done to Southside Wheely Wheelers Cycling club members for organizing and taking part in the fun cycle. We would like to thank all the cyclists who cycled with us for a wheely wonderful fun cycle. Well done. Sunday 21st August Southside Wheely Wheelers club cyclists took part in the Sky Ride Etape Hibernia 134km / 84 mile cycling challenge taking place on traffic-free roads on the beautiful West Coast of Ireland in County Clare. Starting in Ennis club cyclists were individually timed by electronic timer placed on each cyclists bicycle and enthusically cycled over the hills of Clare. This cycle was yet another milestone achievement for our new cycling club and well done to Pat O’Donnell, Stephen Finn Brendan Houlihan, Owen Tobin, Shane O’Brien, David Walsh. Wheely well done. Congratulations to our club cyclist Stephen O’Meara who completed the Stephen Roche Leinster Loop Tour 120kms in Kildare and cycled with the great man himself Stephen Roche winner of the Tour de France in 1987. This was a challenging tour with many climbs but Stephen powered his way to achieve yet another goal for this year cycling season. Stephen and all our cycling club are already looking forward to next week cycling with another cycling legend Sean Kelly in the An Post Sean Kelly Tour of Waterford next Sunday 28th August. Wednesday 17th August saw a very large turnout for weekly Wednesday training. Four groups cycling, one group cycled three mountains in preparation for the Sean Kelly Tour on 28th August, the second group cycled on flat roads enjoying the cycle to prepare for the Sky Ride Etape Hibernia cycle in Ennis, the third group again was very enjoyable for our new club members who enjoy cycling at their pace and the fourth group was the ladies group who really enjoyed the Wednesday evening cycle in beautiful sunshine. As the evenings are slowly, slowly closing in our cycling club will be preparing to start our second year of Weekly Wednesday Night Light Cycle. Out wheely enjoying cycling were Janette Murphy, Michelle Gammell, Aileen O’ Leary, Noreen Ryan, Sean Burchill, John Carey, Shane O’Brien, Jerry Ryan, Davy Daly, Gerard Finn, Liam Duggan, Tadhg Murphy, Michael Gammell, Adrian Gammell, John Crowley, Owen Tobin, Brendan Houlihan, Noel Gammell, Willie McCarthy, Denis Keating and Paul Gammell. Weekly Training: Sunday at 8.30am and Wednesday at 6.30pm all meet at the car park next to Kilmallock Cycles. All cyclists are very welcome to join us enjoying cycling. Southside Wheely Wheelers and Kilmallock Festival are promoting cycling by organizing the Kilmallock Historical FestivalFun Cycle on Sunday 21st August at 9.30am. This is a fun cycle for all the family from the Historical town wall of Kilmallock to the Historical Town of Buttevant and back to Kilmallock. All are welcome to cycle, all you need is a bike and a helmet, meet at the Castle Car Park next to Kilmallock Cycles at 9.15am, cycle starts at 9.30am. Tel 0871466524 Sean Burchill for more info. It has been a remarkable and exciting week of cycling for Southside Wheely Wheelers Cycling club with members taking part in three important charity cycling events. Club member Daithi Creedon cycled the four day Tour de Munster 600km charity cycle in aid of Down Syndrome Ireland. From Thursday 11th Aug to Sunday 14th Aug. This cycle was Daithi most challenging cycle to date. Daithi cycled from Cork city into County Waterford for a big climb at the Vee and through Tipperary and Limerick to Killaloe, County Clare. On day two he cycled through Limerick and North Kerry to Tralee. Day three Daithi cycled over the tough climb the Conor Passand Molls Gap as cyclists make their way via Dingle and Killarney toward Kenmare. Day four he cycled over the Caha Pass and finished strong in to the finish in Cork city. Great cycle Daithi, wheely well done. Sunday 14th August The Tour of Kildare Martin Earley Tour 100km and 50km in aid of the Marie Keating Foundation. To date only four Irish cyclists have won stages in the Tour De France. Shay Elliott was the first to be followed of course by Sean Kelly and Stephen Roche. Martin Earley is the fourth of this illustrious quartet winning the stage into Pau in the 1989 Tour de France. Martin is one of only 3 to have also won stages in the Giro D’Italia, an honour he shares with Stephen Roche and Shay Elliott. 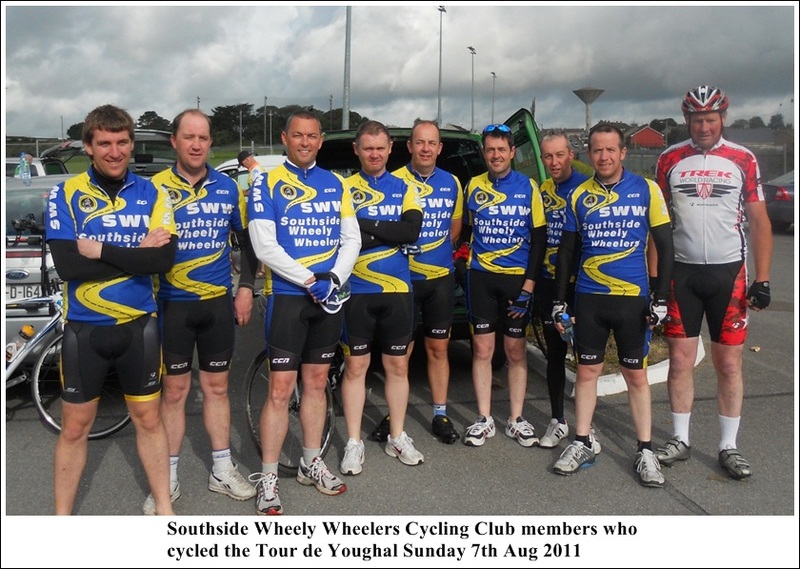 It was wheely great for Southside Wheely Wheelers Cycling club to be part of the tour. 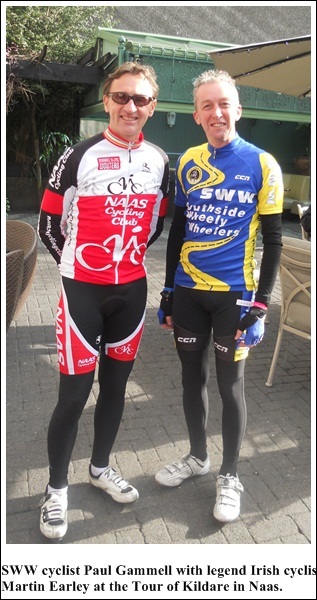 Paul Gammell represented our cycling club and took part in the Tour of Kildare and cycled with Martin Earley. All cyclists received a medal and a certificate along with a gift pack to mark the occasion and cyclists enjoyed the BBQ at the finish. A very well run tour. Well done. 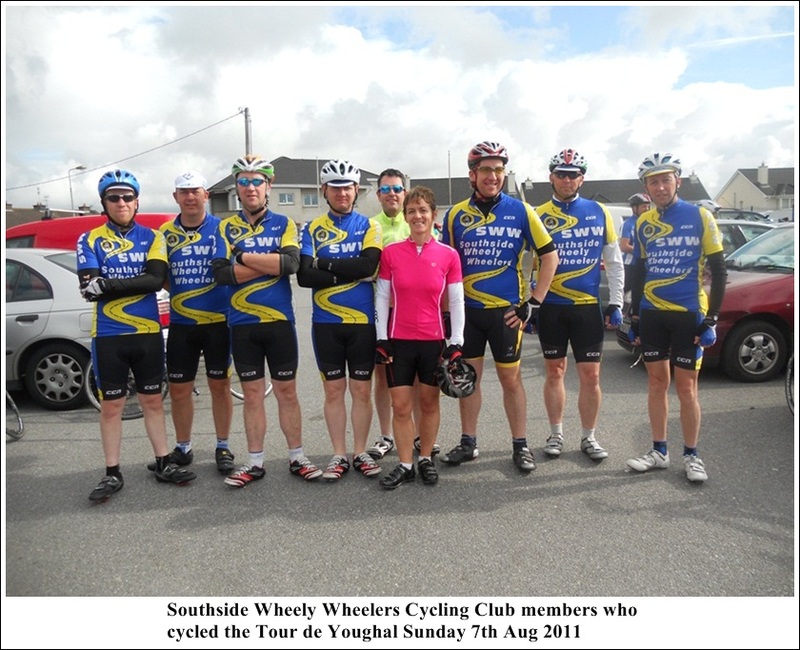 Sunday 7th August Southside Wheely Wheelers club cyclists took part in the Vee Challenge 130km and 90km cycle from Youghal to the Vee Mountains, a challenging cycle from the sea to the mountains. Cycling the ascent of the Vee from Lismore and descending in very wet weather conditions to Clogheen made the decent even more challenging before climbing the Vee again through the woods and descending to Cappoquin and back to Youghal over some challenging climbs making this tour a wheely tough cycle. Well done to Brendan Houlihan, Stephen Finn, Michael Gammell, Owen Tobin, Patrick O’Donnell, Elizabeth Leonard, Daithi Creedon, Shane O’Brien, David Walsh, Jimmy Lillis and Paul Gammell. Wheely great cycling. Saturday 6th and Sunday 7th August Congratulations to Jonathan Moloney and Willie McCarthy who took part in the Trip To Tipp Weekend of Cycling in Thurles in aid of the National Council for the Blind. A very enjoyable cycle called The Three Counties Tour cycling over the Glin of Aherlow and the Vee. This was a very well organized tour and celebrates its 16th years. Our club cyclists cycled the tour with cycling legend Sean Kelly. Well done. Our cycling club wish club member Daithi Creedon the best of luck as he cycles the four day Tour de Munster 600km charity cycle in aid of Down Syndrome Ireland. From Thursday 11th Aug to Sunday 14th Aug. The first day of the eleventh “Tour de Munster” will take the cyclists from Cork city into County Waterford for a big climb at the Vee and through Tipperary and Limerick to Killaloe, County Clare. On day two they will go through Limerick and North Kerry to Tralee. Day three will see them face more big climbs over the Conor Pass and Molls Gap as they make their way via Dingle and Killarney toward Kenmare. Day four will start with a climb over the Caha Pass and finish in Cork city. Wednesday 3rd August at 6.30pm. Wednesday training continued with cyclists enjoying cycling at a leisurely pace over three mountains to prepare our club cyclists for upcoming tours like the 14th Aug Martin Earley Tour of Kildare, 21st Aug Leinster loop with Stephen Roche, Sunday 21st August Sky Ride Etape Hibernia – 82-mile (131km) course. Well done to David Walsh, Jimmy Lillis, Daithi Creedon, Jerry Ryan, David O Connell, John Crowley, Donal Kelly, Sean Burchill, Liam Duggan, Brendan Houlihan, Adrian Gammell, Owen Tobin, Jonathan Moloney. Wheely Great Weekend of Cycling…. It has been a remarkable weekend of cycling with Southside Wheely Wheelers Cycling Club members taking part in two tours and club training spins to prepare our cyclists for tours like the Sean Kelly Tour on 28th August. The Mick Dineen Cycle Tour Ballingeary, Sunday 31st July 2011 (130km) Daithi Creedon represented Southside Wheely Wheelers Cycling Club on a very tough tour starting in Ballingeary and over the top of Coom, and cycled on to Kilgarvan, Kenmare, Lauragh, over the tough climb the Healy Pass and down a steep decent to Glengariff, Ballylickey, Keimaneig Pass and back to Ballingeary. Well done Daithi. Sunday training spin of 80km. SWW club cyclists met at 8.30am and cycled from Kilmallock to Ardpatrick, Kildorrery, Glanworth, Mitchelstown, Ballylanders, Knocklong and home. Out cycling were group leader Pat O’Donnell, Stephen O’Meara, Donal Kelly, David Walsh, Martin Lake, David O Connell, Paul O Connell, Brendan Houlihan, Owen Tobin. Great training well done. Congratulations to Paul O Connell, Willie McCarthy, Mary McCarthy and Jonathan Moloney who completed the very challenging tour in aid of Barretstown. Well done. Great cycling. The tour had some extremely challenging climbs for our cyclists such as the climbs in Graiguenamanagh, Woodstock, the sting in the tail that was the Kilmanagh Hill and the final hill at Bennettsbridge. Wheely great cycling. Saturday training spin was held in perfect cycling weather, cyclists met at 9.30am and cycled 40km on flat roads at a controlled enjoyable pace, led by group leader Jerry Ryan with Denis Keating, David O Connell and Elizabeth Leonard. All new cyclists are very welcome to join our group on Saturday mornings, enjoy cycling at your pace in a friendly group. Wednesday 27th July at 6.30pm. Wednesday training continued with cyclists enjoying cycling at a leisurely pace to prepare our cyclists for the tours over the weekend. Out enjoying cycling were David Walsh, John Crowley, Jerry Ryan, Noel Gammell, Brendan Houlihan, Adrian Gammell, Paul Finn, Paul Gammell and Pat O’Donnell. Weekly Training: Saturday at 9.30am. Sunday at 8.30am and Wednesday at 6.30pm all meet at the car park next to Kilmallock Cycles. All cyclists are very welcome to join us enjoying cycling. An Post Heritage Meath Cycle Tour 160kms and 100kms. Sunday 24th July eight Southside Wheely Wheelers Cycling Club members cycled in the An Post Heritage Meath Cycle Tour 160kms and 100kms. Congratulations to Jerry Herbert, Pat O’Donnell, Stephen Finn, Brendan Houlihan, Elizabeth Leonard, Ber Gammell, Paul Gammell and Adrian Gammell on completing the An Post Heritage Meath Tour in Trim. The An Post Heritage Meath Cycle Tour took in some challenging hills like the steep Hill of Tara, cyclists attacked the Hill of Slane, then out of the heritage town of Kells and on to Kingsmountain and onwards over the steep hills while taking in the incredible scenery by Lough Ban. A wheely tough challenge in very hot sunshine. Well done to all cyclists for travelling a long way to take on the An Post Heritage Meath Cycle Tour. Roll on the An Post Sean Kelly Tour of Waterford Sunday 28th August. Wednesday 20th July at 6.30pm. Wednesday training continued with 3 big groups of cyclists enjoying cycling in perfect weather conditions, out cycling were David Walsh, John Crowley, Brian O’Shea, Willie McCarthy, Jerry Ryan, Noel Gammell, Denis Keating, Daithi Creedon, Michael Gammell, Stephen Finn, Brendan Houlihan, Jonathan Moloney, Shane O’Brien, David O Connell, Paul Ahern, Adrian Gammell, Jerry Herbert, Donal Kelly, Mary McCarthy, Marie Hartnett, Ber Gammell and Michelle Gammell. Saturday 23rd July Beginners / Improvers cycle continued at 9.30am. Our thanks to this weeks group leader Jerry Ryan who cycled with Denis Keating, Liam Carroll. Well done. New cyclists are very welcome. Club’s next leisure cycling tour is The Mick Dineen Cycle Tour Sunday 31st July 2011. Route 1 (100km): Ballingeary – Top Of Coom- Kilgarvan – Kenmare – Caha pass (tunnels) – Glengariff – Ballylickey – Pass Keimaneigh – Ballingeary. Route 2 (130km): Ballingeary – Top Of Coom- Kilgarvan – Kenmare – Lauragh – Healy Pass – Glengariff – Ballylickey – Pass Keimaneigh – Ballingeary. Register: Register from 8.30am, GAA pitch Ballingeary Start: Depart 9.00am sharp. Distance: 100km or 130km. Fee: €5.00. 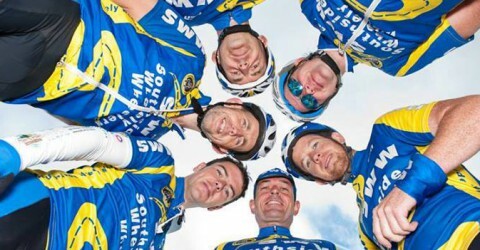 Congrats to Southside Wheely Wheelers club cyclists who completed the Ring of Kerry 2011. Well done all, great turn out. If anyone has some more pics of the cycle. Please email. 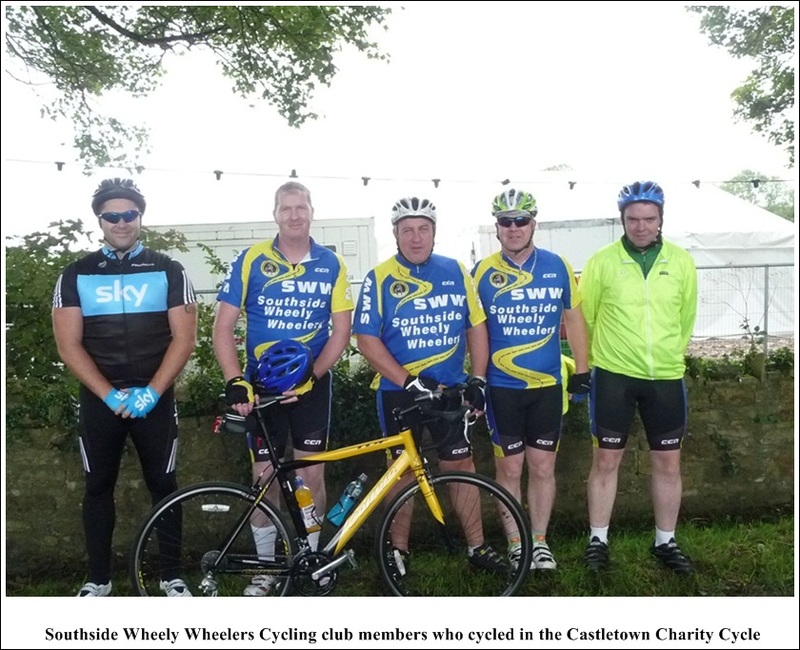 Southside Wheely Wheelers Cycling Club cyclists took part in this year’s Ring of Kerry Charity Tour completing the 112 miles in glorious sunshine. It was an early start Saturday morning 02nd July leaving Killarney on our bicycles at 6.30am. The scenery is breathtaking along the coast road especially cycling from Waterville to Caherdaniel and the tough climb of the Coomakishta Pass is well worth cycling to wheely enjoy the view on the decent. Cycling is defiantly the best way of seeing the beauty of our country and the Ring of Kerry is a must cycle for anyone who enjoys cycling. Cycling the Ring of Kerry were Paul Ahern, Jerry Herbert, Pat O’Donnell, Sean Burchill, Daithi Creedon, Stephen Finn, Brian Hannon, Brendan Houlihan, Owen Tobin, Paul McCarthy, Shane O’Brien, Michael Gammell, Paul Gammell, Willie McCarthy, Jerry Ryan, Liam Carroll, Micheal Leahy, Stephen O’Meara, Phyllis Richardson, Maurice Riordan, Cathal Casey. Even An Taoiseach Enda Kenny was even seen cycling the Ring of Kerry. Well done all. Great day for our cycling club. Congrat’s to Blackie for showing some leg and wearing shorts….Great legs !!! Summer has arrived. Wednesday 29th June at 6.30pm. Wednesday training continued with great numbers wheely enjoying cycling, out getting fit and healthy were David O Connell, Jerry Ryan, Adrian Gammell, Willie McCarthy, Mary McCarthy, Ber Gammell, Paul Ahern, Jonathan Moloney, Michael Gammell, Liam Duggan, Brian O Shea, , Daithi Creedon, Stephen Finn, Owen Tobin, Brendan Houlihan, , Paul Finn, Stephen O’Meara, Paul Gammell and Sean Burchill.